The Girls Heljar Pants from Jack Wolfskin are specially designed for outdoor girls–and they're every bit as agile. They are as comfortable and robust as a pair of riding pants and offer the full-stretch mobility needed when cycling or climbing. 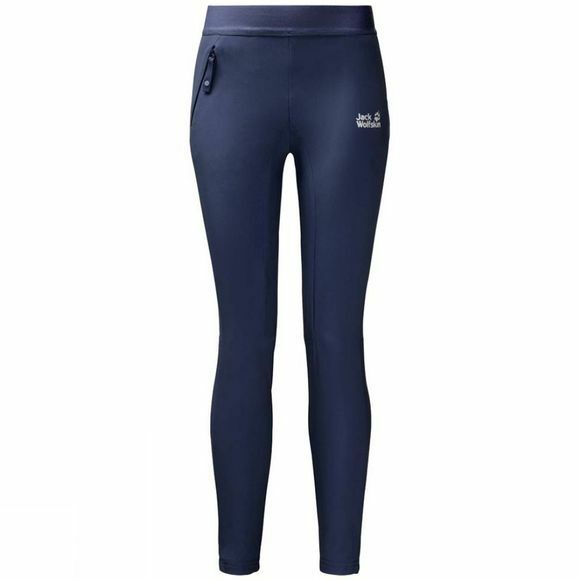 The Girls Heljar Pants have a snug, comfortable fit. They are like a pair of leggings, but with significantly better durability. They are tailored from a hard wearing, super stretchy fabric, so climbing trees and rough and tumble playtime are well within the remit. They can even cope with the occasional light shower.